Dance to the Music: Dancing With the Stars and American Idol……Everyone’s a Winner! As the More is More Mom®, I’m all about………more Dancing with the Stars and American Idol season finales! Where have the past 4 months gone since we were first introduced to all of the “Stars” and met all of the decent contestants during Hollywood week? More importantly, what on Earth are we going to watch during those coveted hours Monday, Tuesday, Wednesday and Thursday evenings? Certainly not 2 ½ Men (at least until this fall when super cutie Ashton Kutcher hits the scene) and The Voice isn’t totally doing it for me. Seriously, who exactly is Cee Lo Greene (Forget You…woo, hoo, hoo)? So here we are, down to our final three contestants for the coveted Mirror Ball, and our final two Idol hopefuls…….It’s been a real horse race. Heading into the final night of DWTS you’ve got Hines Ward (darling, personable and graceful Steeler’s QB), Chelsea Kane (who claims to be a Disney star, but I’ve never seen her on The Suite Life of Zach and Cody and she wasn’t even in High School Musical’s I, II or III) and, of course, America’s favorite, Kirstie Alley (from TV and movie classics such as Cheers and Look Who’s Talking I and II, and the only contestant ever to tame bad boy professional dancer Maksim Chmerkovskiy). What’s the best way to kick off the season finale party? Obviously with Don’t Stop the Party by the Peas (otherwise known as the Black Eyed Peas), but for me, the party would only have been complete with an appearance from my ultimate boy friend, Season 9 winner, Donny Osmond (and this is not a…..Puppy Love). With a star studded night, Josh Grobin was quite fine, but if it doesn’t have a beat I can dance to, forgedaboudit (I would have been awesome on American Bandstand or the Soprano’s). As a gal who adores nostalgia, I was thrilled to see Belinda Carlisle and the Go-Go’s (and they have Got the Beat). Country sweetheart, Sarah Evans, made an appearance singing A Little Bit Stronger, which was okay, again, if you like ‘em slow. The race could have gone any which way, so it all came down to the final round in competition: (best dancer) Chelsea and Mark, with their Hogwart’s inspired Viennese Waltz, (dancer with the most personality and chutzpah) Kirstie and Maks, with the Cha Cha Cha (Forget You……Cee Lo Greene makes a DWTS appearance tonight, too) and (most charming and delightful dancer) Hines and Kym, with the Samba. But which of these competitors reigns supreme????? The mirror ball trophy goes to, the incomparable………Hines and Kym, bringing it home to the Steeler Nation! 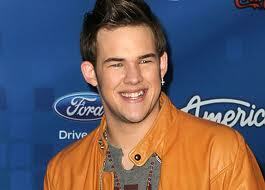 On the other hand (or channel), I haven’t quite gotten over the fact that James Durbin isn’t in the final American Idol race. While I don’t have a classically trained ear, my earliest musical experience comes from exposure to my K-Tel and Donny Osmond albums (you see, everything always comes back to my Donny). What I absolutely adored about James was his range, his passion, his talent and intensity. Even though he’s cute as button and will clearly have a huge career, Scotty McCreary just isn’t doing it for me. As for Lauren Alaina, I think she’s got the chops to be a huge Carrie Underwood/Kelly Clarkson type, but I just can’t shake the feeling that she’s a little bratty. In my house, I might have washed her mouth out with soap (from the pump dispenser for easier clean up). It’s a toss up as to who will walk away victorious, and quite frankly, since it won’t be James, I’m not all that worried. However, I hope they’ve got a super big finale planned……..one where Steven Tyler sings with James (they owe him one)! More dancing, more singing, more mirror ball trophies, more recording contracts, more stars in the sky…….